If you’re looking for the very best chocolate chip cookie recipes, you’re in the right place! And if you have a great recipe to share, scroll down to the bottom and submit your link. 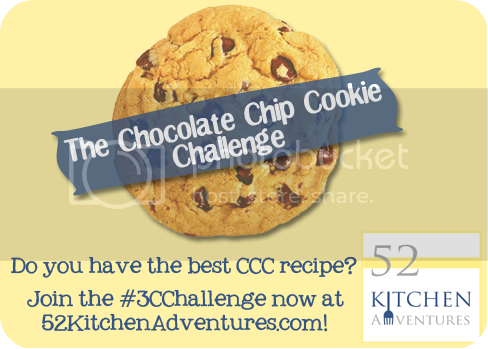 Welcome to the Chocolate Chip Cookie (CCC) Challenge Link-up! I challenged you all to come up with your favorite CCC recipes and share them today. I can’t wait to see what you’ve been baking! Finally, my Perfect Chocolate Chip Cookies, which are my favorite CCC recipe yet. And now we want to see YOUR best, favorite, and most awesome CCC recipes! Submit your recipe links below. I can’t wait to see your recipes (and try them too)! Oh my, are these good!!! Niki recently posted Monday Morsel: Trifle! Treacle! I don’t have a recipe for link up, maybe a chocolate mocha recipe 😉 but I like this collection so much. Chocolate chip cookies are one of my favorites. Yummy!